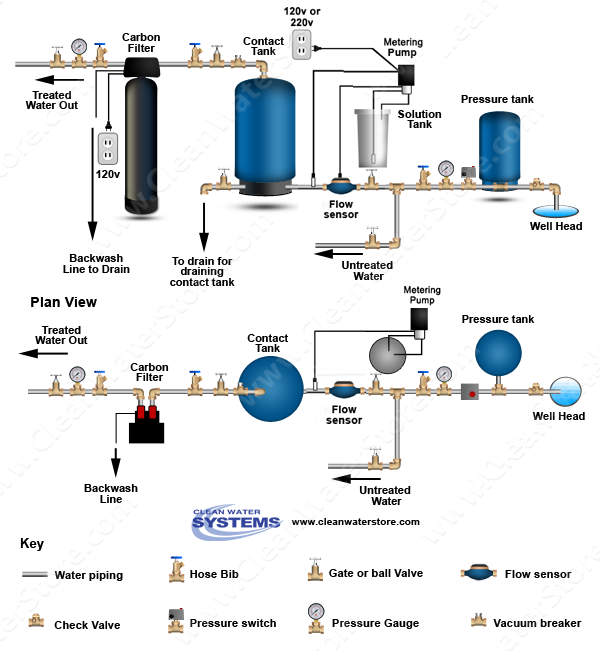 Clean Well Water Report: How Do Water Well Chlorinators Work? 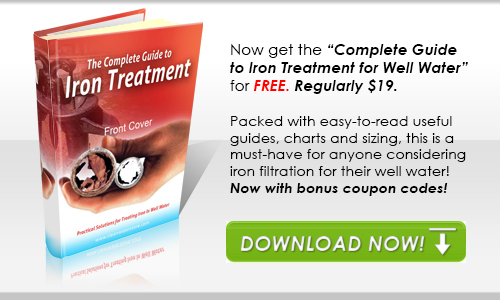 How Do Water Well Chlorinators Work? My neighbor works at our local water treatment plant, and he told us he thinks we should put in a chlorinator. We have tested off and on ever since we bought this farm for coliform bacteria in our well water. We added chlorine to the well but after a few months we tested positive again for bacteria. How do chlorinators work? Does it use regular bleach? We don't want chlorinated water to go out on the orchard, just for inside our house. Thanks for emailing. It is best to try to identify the source of the bacteria first if possible. Have you checked the top of your well to make sure there are no cracks or loose fittings? You might consider having a well professional (well driller or well contractor) take a look down at your well. If you find you need to install a continuous system for disinfection, chlorine is a good low cost way to go, provided there is sufficient contact or retention time, after the chlorine is injected, before the water reaches the house. You would also need to monitor it, to make sure there is a chlorine residual (which is easy to do with a simple test kit). You might also consider having a dual-barrier system, so that if anything ever happened to the chlorinator you have a secondary disinfection system, such as ultraviolet sterilizer. • Have I had my water tested? • What is the “chlorine demand” (based on my water test) of my water? • What is the flow rate of my well pump in gallons per minute? • How much contact time do I have after the chlorine is injected and will a contact tank be necessary? • What is the line pressure in PSI, at the point where I plan to inject the chlorine? NSF certified, one piece, seamless polyester filter tank for long life. 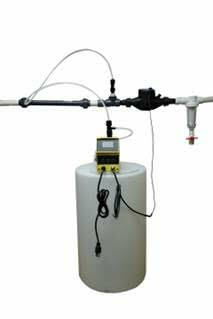 CWS Retention Contact Mixing Tanks are great for chlorination, peroxide, ozone or aeration systems!